Professor Graham Collingridge, a member of Hello Bio’s Scientific Advisory Board has won The Brain Prize together with Professor Tim Bliss of University College London, and Professor Richard Morris from the University of Edinburgh. The Brain Prize is regarded as the equivalent of the Nobel Prize for neuroscientists. Graham has helped us to develop and offer a great range of low cost tools for neuroscientists, including many that are used to study learning and memory, such as D-AP5, NBQX and TTX. 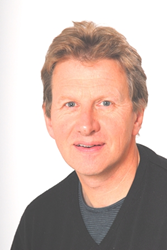 Graham Collingridge is a member of the Scientific Advisory Board for Hello Bio – a life science company that offers low cost research tools to scientists and neuroscientists worldwide. Professors Collingridge, Bliss and Morris studied a brain mechanism known as ‘Long-Term Potentiation’ (LTP), and showed that LTP is the basis for learning and memory. This has revolutionised scientists’ understanding of how memories are formed, retained and lost. Hello Bio's Managing Director, Steve Roome commented "We offer our heartfelt congratulations to Graham and Professors Bliss and Morris, for this amazing achievement. We are extremely proud to have Graham as part of the Hello Bio team – and privileged that he shares his expertise, ingenuity and enthusiasm with us. Graham has helped us to develop and offer a great range of low cost tools for neuroscientists, including many that are used to study learning and memory, such as D-AP5, NBQX and TTX. I am sure all of our customers will join me in congratulating Graham, together with Tim Bliss, and Richard Morris on this fantastic accomplishment." The Brain Prize is awarded annually by the Grete Lundbeck European Brain Research Foundation in Denmark and is worth one million Euros. It recognises scientists who have distinguished themselves by an outstanding contribution to neuroscience. Professor Graham Collingridge is a member of Hello Bio’s Scientific Advisory Board, joining a panel of eminent scientists and neuroscientists that also include Professor Min Zhuo, Professor David Jane, Professor Elek Molnar and Professor Kei Cho. Hello Bio was founded by a team of experienced scientists and chemists who's aim is to support life science research by offering a range of high quality life science tools at prices so low that as many researchers as possible will be able to afford them. Hello Bio offers a range of agonists, antagonists, inhibitors, activators, antibodies and fluorescent tools at up to half the price of other suppliers. The range includes: receptor ligands, ion channel modulators, enzyme inhibitors and activators, epigenetic tools, signaling tools and stem cell research tools. Hello Bio also offers a cost effective custom synthesis service for customers requiring specialist tools, or bulk quantities.